This application requires that cookies be enabled. Please adjust your browser settings. Neighbourhood Protect is a free web-based administration and communication tool for neighbourhood watches in Canada that goes beyond what social media offers. Since 2016, serving communities across southern Ontario, most recently in Quebec, British Columbia, Alberta, and New Brunswick, and growing. No current police messages found. 2019.03.23: Regina police report Credit Card Theft Targets Elderly Citizens. Perpetrators shoulder surf their victims at a checkout line to get their card PIN then in the parking lot distract them to get their wallet. February 7, 2019. YRPS warns of SUVs being stolen. Over the past year 80+ Lexus RX350, Lexus GX460, Toyota 4Runner and Toyota Highlanders have been stolen. Thieves are defeating their security systems and reprogramming new key fobs to start these vehicles and driving off with them. Do not leave these vehicles in your driveway overnight without additional security features. A steering committee has been set up and determined that there will be one neighbourhood watch (NW) group with the name "Wallaceburg". Please do not create any NW sub-groups. If you created or joined another NW group please go to your Profile page and select the neighbourhood "Wallaceburg" instead. If you are a member please ensure that you have completed the sign-up process by either selecting a neighourhood or creating a new one if you are the first in you area. Also, tell some of your neighours to help get your watch going. An effective neighbourhood watch requires members. Note: News feeds from Twitter are currently not working as Twitter has disabled external RSS links. Therefore this section may not display. Police services that provide RSS feeds continue to work ie. Toronto Police and Durham Regional Police. Neighbourhood watch training videos on what to do and how to better protect yourself. It is recommended that you watch these videos if you plan on joining a neighbourhood watch. See the following safety page for safety tips. Although most private drone operators view these as toys, there are some safety and privacy concerns that must be respected. 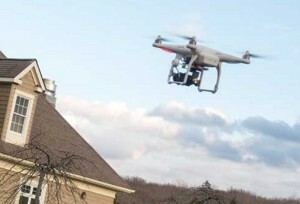 Canada has a new law regarding the use of these drones: Drones and the law. Fines go up to $3,000. Robbery: When someone does or tries to steal your property AND assaults or threatens to assault you. ie. A street mugging or a theft from a store where a weapon was shown. Two examples of thefts mislabelled as robberies are finding your house broken into (a Break and Enter) or shoplifting (Theft Under). Break and Enter: Unauthorized entry into your home/business, closed garage, shed or fully fenced/gated yard and steals or attempts to steal property. Breaking into your car is not a break and enter, just a Theft From Vehicle. If you see a crime-in-progress, phone 9-1-1. If you discover a crime and the criminal is likely long gone you could use your police service's online crime reporting forms to make a report. No crime is too small, report everything. Certain major crimes such as assault, robbery, break and enter, etc. will require police to attend and cannot be done online or over the phone. If you see a crime-in-progress, phone 9-1-1. If you suspect criminal activity (ie. drug dealing, prostitution, etc.) in your neighbourhood and wish to report it anonymously then you can use Crime Stoppers. No crime is too small, report everything. Posts onto the Events page are strictly regarding neighbourhood safety and property (stolen, found, damaged, etc.). No social media type posts about gardening, cooking, politics, etc. No speculation on crime, just observed activities. No kudos, OMG or other non-informative posts...post only something of value that contributes to the original reported crime. If you observe a crime, report it to the police before posting it here. Do not post people`s names on the website. Be mindful of the Youth Criminal Justice Act. If you post a photo of a perpetrator that is later identified as a young person (<18 yrs), please remove the photo. The neighbourhood captain, liaison officer and website administrator reserve the right to delete any inappropriate posts. Information collected on this website is for the purpose of administrating neighbourhood watches and may be shared with police services to assist in their investigations. Personal contact information will not be shared with any non-police organizations. General aggregate information may be used to provide stats to public organizations. There is a variety of hardware such as web hosting, communication lines and power generation that could potentially affect the availability of this website that goes beyond the control of the administrator. As such, there is only up to a 99% guarantee of uptime. On multiple occasions people have asked about how to get signs and window stickers. You must contact your local police service directly for this information. Neighbourhood Protect has no sign/sticker program. Also, most police services require around 50% neighbour sign-up before they will endorse your watch. So, before contacting the police, you need to actually build a functioning neighbourhood watch. Questions/comments can be directed to admin@neighbourhoodprotect.ca. If you live outside of Canada and would like this tool for your area send an email to discuss. © All content is the property of the Neighbourhood Protect administrator. You may only copy portions of this website if you provide a link back to this website or acknowledge its source.